Friday Night Paintball is the place to be in Moncton. Open to the public, this form of pick-up paintball places you on randomly generated teams against other players who are there that night. Smiles will be shared by all during an extreme 2 hour experience. Walk-on/pick-up paintball, is the ideal starting point for most people to try paintball. We have expert paintball staff on site, a paintball pro shop along with paintball gun techs, all at your service. Paintball at the SportsDome uses reusable rubber balls called Reball™ which means unlimited ammunition. Semi-private bookings are great for groups of 10 people or more. They are offered on Saturdays at 1:00pm or 3:00pm. Your group will play with other groups of people, but not the general public. Groups looking for a taste of paintball will enjoy this cost effective offering. You will share the experience with 10 or more of your friends, co-workers or teammates as our host guides you through different missions. While your group takes a break and plans for the next battle, another group will be on the field to play. Cost is $35 per person for semi-private bookings. Please contact us to make a reservation. We offer private bookings for groups of any size. Must be a minimum of 10 people and there truly is no maximum as we’ve hosted company/school gatherings of hundreds of people. Base price is $50 per person and includes your gun, safety equipment and unlimited ammunition. Private bookings reserve the field for just your group. Our paintball instructors will guide you through your adventure tailored to your type of group and number of players. Call us today at 382-PLAY to book your next paintball adventure. Advanced Walk-Ons are tailored for skilled tournament players. Games are run 5vs5 NXL format and rules. Players must have their own equipment capable of firing 10bps, their own pods, pod harness and barrel sock. The Advanced Walk-Ons are seasonal so see our Events Calendar, join our Facebook or Newsletter, and never miss your opportunity to play against the best talent Atlantic Canada has to offer. Action runs from 3:00pm to 6:00pm. Unlimited Reball™ means unlimited action. $50. Offered seasonally so please check our Event Calendar. Looking for the next level of fun an intensity. The SportsDome hosts many Special Paintball Events including Scenario Events and Speedball Tournaments. These events usually occur monthly, have different rules or requirements, and must be registered in advance. Joining our Facebook or Newsletter or checking out our Events Calendar are the best ways to not miss our next Special Event. 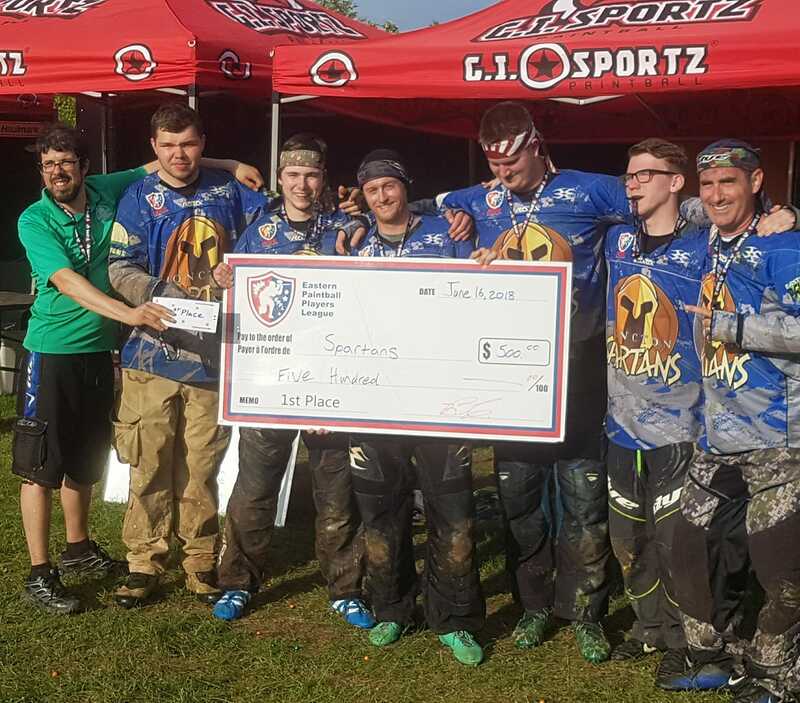 SportsDome Special Paintball Events are facilitated in part by the Moncton Spartans Paintball Team. **Rules available HERE. Additional rules for special events may apply.